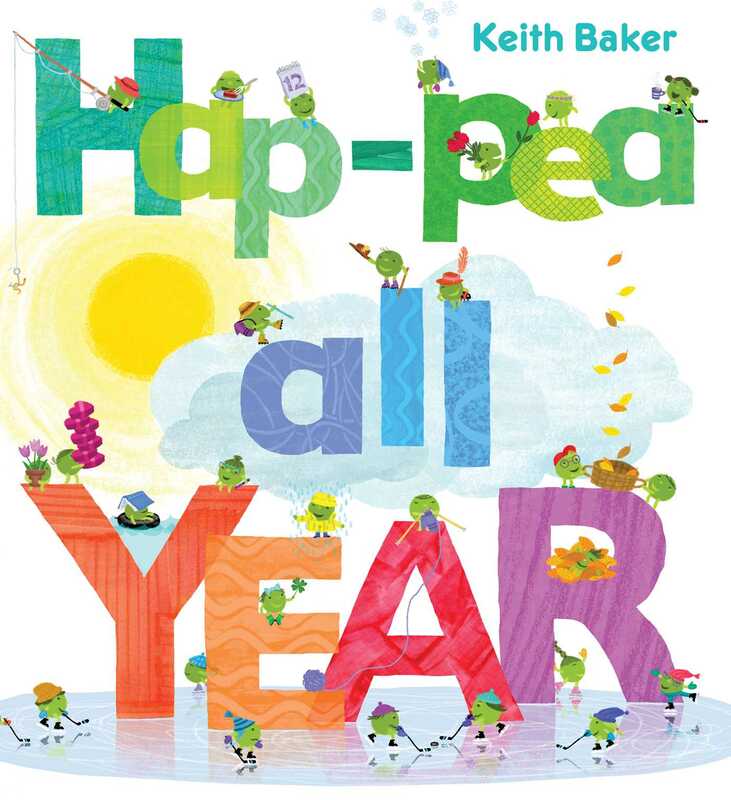 Keith Baker’s New York Times bestselling peas are back for more fun—this time exploring the months of the year! grab your mittens—hooray, it’s snowing! The peas have rolled through the letters, numbers, and colors. Now, they’re back with all of their signature jaunty and joyful perfect-for-preschoolers energy to take young readers through the calendar. With bouncy rhyming text and playful pea-packed illustrations, celebrating the months, the seasons, and the holidays has never been so fun! Baker’s busy legumes are back and celebrating the months of the year in this bright and cheerful concept book. The peas introduce each month with rhyming metric and mention one special thing that normally occurs during that particular month. “Hap-pea July! Chase the fireflies./Roll out a sleeping bag, watch the sparkling skies.” Halloween and Thanksgiving are both alluded to here, but the images in these spreads could also be interpreted as other celebrations, such as harvest festivals. February specifically addresses Valentine’s Day, however, and March calls out St. Patrick’s Day. Children will enjoy spending time looking at all of the small digitally illustrated peas and their adventures in each specific month. VERDICT With the traditional, spacious two-page format and minimal text, this volume should be a crowd-pleaser for storytimes as well as one-on-one reading. A general purchase for most libraries. name, in oversize lettering, as numerous, peppy, diversely accessorized peas clamber all over the letters. 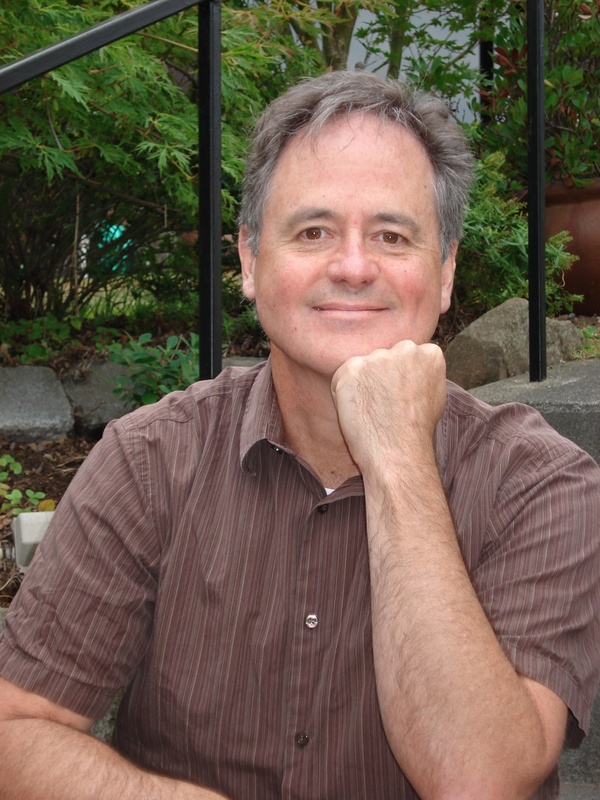 various seasonal elements and the calendar’s cyclical nature.